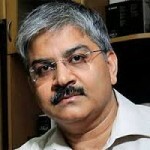 – Is Fav Stock Of Prof Sanjay Bakshi & Sanjoy Bhattacharyya A ‘Hidden Gem’ Or A ‘House Of Cards’? First, as per hallowed tradition, we have to peep into the latest portfolio of Prof Sanjay Bakshi’s Valuequest India Moat Fund to check whether the multibaggers therein are hale and hearty. As one can see, out of the seven stocks in the portfolio, two stocks, namely, Ambika Cotton and TVS Srichakra, have put in a spirited performance and notched up hefty gains of 68% and 54% respectively. However, the other five stocks have disappointed by reporting a sub-par performance. The simple average return of the said seven stocks amounts to 15%. This has underperformed the YoY return of 17.70% given by the Nifty. It is also an under-performance in relation to the return of 23.30% given by the S&P BSE Mid-Cap and the return of 31.70% given by the BSE Small-Cap Index in the same period. Kitex Garments, which is Prof Sanjay Bakshi’s high conviction stock pick, appears to be the culprit for the under-performance of the portfolio. The Prof has been aggressively buying the stock on every dip. The surprising aspect is that the Prof has not been daunted by the concerns that have been expressed in knowledgeable circles, including the valuepickr forum. The Prof first revealed his fascination for Kitex Garments in a “teaching note” titled “The Importance of Unconventionality”. He emphasized that Kitex has a number of virtues such as marquee customers, pricing power, high EBITDA margins, high RoE, debt-free etc. As one can see, the Valuequest India Moat Fund launched a no-holds-barred buying action and nearly doubled the holding in a period of less than 12 months. In fact, the Fund also did an aggressive bulk deal purchase on 2nd November 2016 when it bought 265,500 shares at Rs. 316 each (adjusted for bonus). Unfortunately, the timing was not auspicious because the stock is down 21% since then. (viii) Risk of conflict with family owned concern is addressed by ensuring full transparency and appointing Ernst & Young as consultants. Ocean Dial Gateway to India Fund has a mutual fund called India Capital Growth Fund (ICGF). ICGF has a subsidiary in Mauritius named ICGQ Ltd. The said ICGQ Ltd holds 7,00,000 shares of Kitex as of 30th June 2017. The baffling aspect is that while the two eminent value investing dons have expressed unbridled confidence in Kitex Garments, other experts have trashed the Company by calling it a ‘house of cards’. Amit Mantri of 2Point2 Capital has written a piece called ‘The curious case of Kitex Garments’ in which he has highlighted several alleged irregularities in the operations of the Company. One of the red flags is said to be the “unbelievably profitable commodity business”. Another is the mystery of the “zero-interest earning cash and high cost debt,” which implies that there is some sort of accounting jugglery going on. Yet another red flag is the so-called “missing TUFS subsidy”, which is alleged to have disappeared without a trace. There are several other alleged red flags highlighted in the report. This is with the cash on book in forex snake oil story still having believers. God knows when that cult will collapse. Will Kitex Garments be “next Page Industries” or “next Satyam”? It is hard to believe that in April 2015, Kitex Garments was being described as the “next Page Industries” that every investor must have in his or her portfolio. Presently, the poor financial results being reported by the Company coupled with the allegations levelled by knowledgeable experts has sparked fear in the minds of investors that instead of being the “next Page Industries”, the stock may end up as the “next Satyam”. Cashflow, Cash in books, Merger postponed, sudden huge capex all have some ? Somehow people have forgotten Kitex Garments, the much hyped stock, currently abandoned. Let it touch sub-200 level too! Happend with Kitex Garments with no growth for 1 year. #kitex garments – Pathetic set of numbers. Wonder why is Sanjay bakshi still holding on to it. He has to jump out of the ship soon. 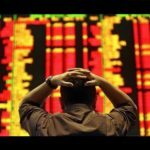 Kitex mgt attributes postponement of orders due to US elections! Any link between kids garments and US elections? It is well known that Porinju Veliyath has an allergy towards Kitex Garments. He periodically refers to it as an example of “fancy vs. value” and of how buying such stocks is injurious to the investor’s financial well-being. In an interview of January 2016, Porinju drew a masterful distinction between Kitex Garments and Vardhman Textiles and pointed out that while Kitex was being chased despite exorbitant valuations, Vardhman was being ignored despite throwaway valuations. It is a matter of record that while Vardhman Textiles is up 44% since then, Kitex is down 52%. So, maybe Porinju knows what he is talking about! NewGen Investors feel safe to buy Kitex at 4200 Cr; they have 20 reasons not to look at Gokaldas Exports at 200 Cr, due to current problems! Not to get excited with correction in Sun Pharma, Page, Kitex etc.. These fancied stocks discounts the earnings of next many years already! Porinju also has an allergy towards Page Industries on the basis that it is “over-priced”. This has also turned out to be prophetic because Page Industries has underperformed the Index by giving a return of 21% over 12 months and 15% over 24 months. It is obvious that the conflict of opinion amongst the experts as to the fate of Kitex Garments means that novice investors have to steer clear of it. There are plenty of other fish in the pond and it is better for us to be safe rather than sorry! Very good article. Kitex is always a mysterious stock. Better stocks are there. I generally admire the writing on this website. In fact that’s one of the reasons that attracts me to your site. But the ad nauseum use of the word “novice investor” is getting on my nerves. Please come up with some synonyms. Well before every one ,I had explained in this forum itself that Vardhman Textiles is far better stock than Kitex,I had my serious doubt from start itself that Prof and othe Big invester who were bullish on Kitex , knew any thing about textile industry .More over I was more surprised by Prof Bullishness in third grade opaque reality sector ,when every one who has invested directly in property in last few years were repenting and even Modi Govt after generation of Black money.If Prof still managed to have return of 15% after such third class calls ,I must say he is either Lucky or stock market is over priced to that extent. For reference pl read my comnent on an article by arjun _ Loading of Gem by Prof Bakshi and Sanjay Bhatcharya in Oct 2016 and my comment in Stock Talk in Jan 29 ,2016 in Thread about Kitex by Fundamentalist.I had exactly predicted about Kitex . I must say Porinju was either Lucky or Smart,who made entry and probably timely exited from Gokuldass. Otherwise his Choice was also as Bad as Kitex of Prof .
Kharb, with little more aggression in your recommendations, you can be next Basant maheshwari. I admire you both! And buy recommend Hawkins as number 1 holding? 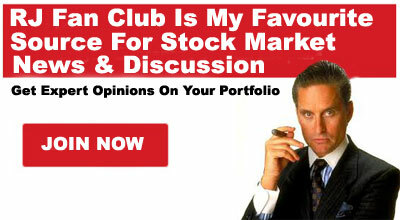 Hear his views and read his book, don’t be cynical and judge on the basis of one stock. It is for your own benefit. And Hawkins is still doing pretty well as a stock though I don’t like it. Now it looks good or not for fresh buy ???? Kharb is a genius and reading his comments and views is of immense value. Can any erudite person give his opinion on three stocks going very cheap. GHCL, Maithan Alloys and Pondy Oxides. Adjust June shareholding of 14,72,235 for the bonus issue and you will find that there is no increse in shareholding by Prof. But the question is that why a plethora of analysts cannot come ‘clear’ on what is happening at Kitex. 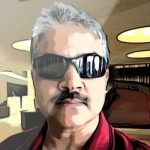 Why there is a corporate governance issue pending and why no body is demanding any answer from the management of Kitex. If Kitex had to become ‘Page Industries’, it has to come clean and clear on such corporation governance mischiefs. Hoping they will come clean and clear. Plz make a report on why RJ bought JP Associates. Please recommend 1_2 small cap share for long term .we believe only kharb sir. I agree with Ravinder Walia. In this choppy and uncertain times with analysts having divergent views on same stock, we expect only Kharb to help us and suggest some good stocks for long term because of your superb analytical power and acumen on the market. What are the performance numbers for “Valuequest India Moat Fund”? I could not find it anywhere. Mostly like reading comments of eminent intellectuals in this forum. General consensus is, everyone is looking for good stock to invest. When the audit work is ?? then rest is Big ?? Thanks, Mr.Jain. Several brokerages held positive views and recommended, GHCL, Maithan and Pondy Oxides. Very strong stories, good earnings and very much undervalued. I don’t see Kitex Garments as failure, I think it is preparing for next upside. I also felt it was overpriced when Porinju warned about it, therefore I avoided buying it at that valuations. Now I think valuations are getting corrected and I am waiting for making a fresh long position on it.